Whoever we may deal with, and wherever we may operate, we are committed to doing so lawfully, ethically and with integrity. As part of this commitment, S5 is fully committed to eradicate all forms of bribery and corruption. Our Anti-bribery and Corruption Policy provides guidance on the standards of behaviour to which we must all adhere to. S5’s anti-bribery and corruption policy sets out policies to prevent acts of bribery and corruption. These policies and procedures have been designed in strict compliance with legislation governing bribery and corruption on a global basis. 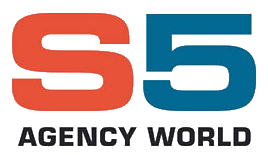 S5 Agency World is a member of the Maritime Anti-Corruption Network (MACN).